The Recipe: This is one of my very oldest recipes, the way I've been cooking my family's favorite "Iowa chops" in the oven for ever so long. The chops are topped with a mustardy crust of mustard (naturally! ), bread crumbs and fresh herbs. This 2003 column was published online for the first time in 2007 to accompany a special piece, The Heartbeat of Iowa, about my recent trip to Iowa to visit some "happy pigs". Here’s a recipe destined to become a household staple because of its simplicity and flexibility. It’s simple enough for weeknight fare but special enough for guests. It makes up in minutes and can be made in advance. Most of all, the recipe invites your culinary creativity. French bread crumbs are soft and delightful but what about trying rye or pumpernickel? No time to make bread crumbs? Use dry crumbs (but cut the quantity by about half). Prefer a bit more spice to your meat? Sprinkle the chops with cayenne pepper or chili powder. Not in the mood for pork? Experiment with chicken or fish or lamb. CHOPS Coat tops and bottoms of chops with thin mustard coat. Season with salt and pepper. CRUST Stir together crust ingredients and divide equally on top of chops. Press crumbs lightly with back of a spoon to adhere. Transfer to lightly oiled heavy baking pan. Bake for 25 minutes or until meat reaches an internal temperature of 145F - 160F. (Why 145F - 160F? 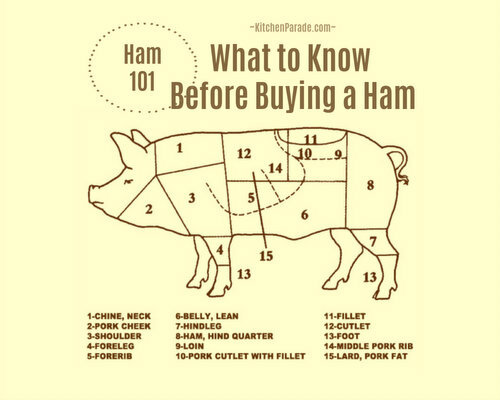 It's all explained here, Should Cooked Pork Be Pink?) If the crumbs don’t brown, place under the broiler for one or two minutes – watching carefully to prevent burning! ALANNA's TIPS If your butcher looks puzzled by the term "Iowa chop", just ask for rib chops cut one-inch thick. If there's time, before baking, first brine the pork chops in a quart of water with 2/3 cup of brown sugar and 2/3 cup kosher salt for up to 24 hours. It will add moisture to the meat. NUTRITION INFORMATION Per Serving: 397 Calories; 13g Tot Fat; 5g Sat Fat; 20g Carb; 1g Fiber; 320mg Sodium; 133mg Cholesterol; 46g Protein. 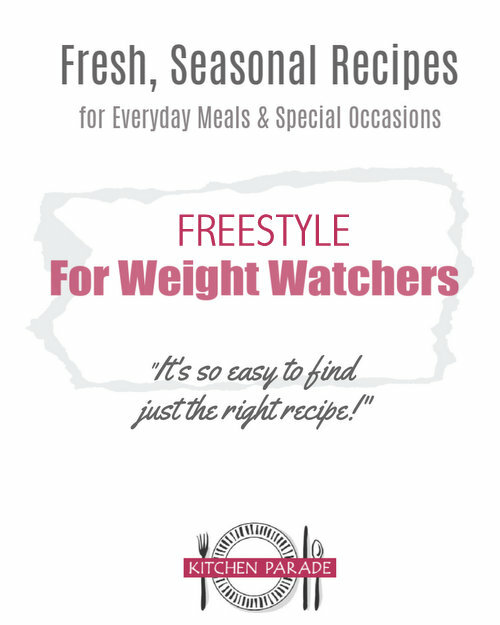 WEIGHT WATCHERS POINTS WW Old Points 9 & PointsPlus 10 & SmartPoints 9 & Freestyle 9 Iowa Chops are large, the “ladies” typically share a large chop, while the men go for whole ones.